Under the TSCA, the EPA is authorized to request payment from manufacturers and processors who: are required to submit information by test rule, test order or enforceable consent agreement (ECA) (TSCA Section 4); submit notification of or information related to intent to manufacture a new chemical or significant new use of a chemical (TSCA Section 5); or manufacture or process a chemical substance that is subject to a risk evaluation, including one conducted at the request of a manufacturer (TSCA Section 6(b)). Beginning in fiscal year 2019 (October 1, 2018), the EPA is required to adjust fees every three years to reflect inflation and ensure that fees account for 25% of the EPA’s costs in administering TSCA Sections 4, 5, 6 and 14. The proposed rule reflects the EPA’s implementation of its statutory mandate. In proposing new TSCA user fees, the EPA recommends amending long-standing user fee regulations governing the review of premanufacture notices (PMN), exemption applications and notices, and significant new use notices (SNUN). The EPA also would require payment for the following TSCA Section 5 notices and exemptions: microbial commercial activity notices (MCAN) and consolidated MCANs, test marketing exemptions (TME), low releases and low exposures (LoREX), low volume exemptions (LVE), Tier II, film article exemptions, and TSCA experimental release applications (TERA). 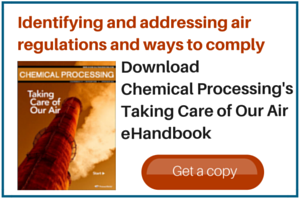 After implementation of final TSCA user fees regulations, certain manufacturers and processors would pay a prescribed fee for each notice, exemption application, and data set submitted or chemical substance subject to a risk evaluation for the EPA to recover costs associated with carrying out such work. The EPA also is proposing and taking comments on standards for determining which persons qualify as small business concerns and thus are subject to lower fee payments. Although the EPA has the authority to collect fees from both manufacturers and processors, the agency proposes focusing fee collection on chemical manufacturers and collecting fees from processors only when they submit a SNUN under Section 5 or when a Section 4 activity is tied to a SNUN submission by a processor. The EPA seeks public comment on this approach. Table 1 summarizes the proposed fee amounts. Table 1. The EPA’s proposed fee amounts will help the agency support the TSCA program. The EPA also proposes much lower fees for small businesses. The agency recommends small business fees at an 80% reduction compared to the proposed base fee for each category. The EPA plans to collect user fees starting October 1, 2018. Failure to comply with any TSCA requirement is a prohibited act under TSCA Section 15 and subject to penalties under TSCA Section 16. The EPA proposes to start collecting fees the day after the final TSCA user fees rule is published in the Federal Register. The proposal is substantial and important because the financial integrity of the TSCA program is essential and this revenue stream is critical to its success. The proposed approach strikes the right balance addressing the competing interests of cost burden on stakeholders and the EPA’s need for income to support the program. Stakeholders are urged to comment and ensure the new fee structure is fair and adequate to fulfill all stakeholder expectations.